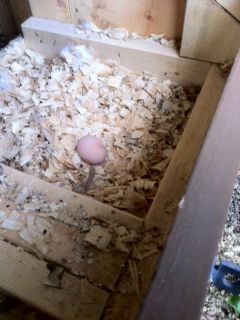 Suburban Chicken Lays First Egg! 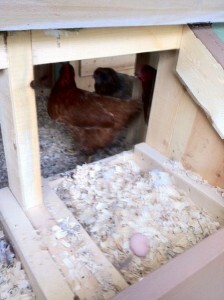 Which came first? After two and a half years of working to free the chicken in Carbondale, Illinois to do what chickens do best we have our first egg in the backyard! Of course we are eggstatic and looking forward to over easy? Hard boiled? Sometimes it is so hard to make a decision, eh?